It appears that we have something of a rareity. 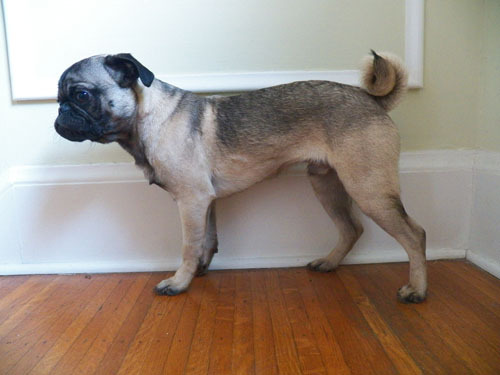 A skinny pug. 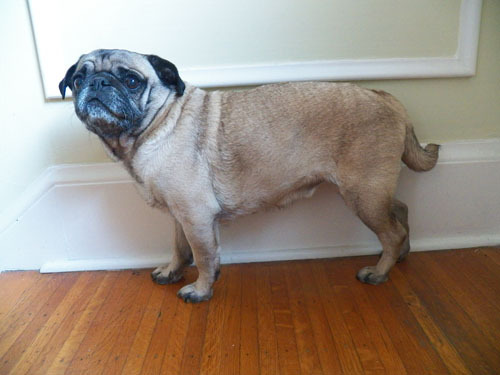 Pug are typically meaty dogs. Barrel chested and roundish. See exhibit A above. Oscar is so meaty he has nicknames like Beefy, Tubs of frosting, etc. But Hugo is long, lean and narrow. Skinnny pug. 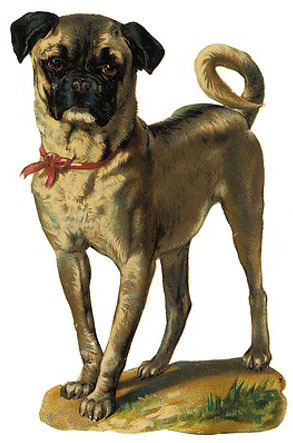 He actually looks like this vintage pug painting. Is he some sort of version of early pugdom? Hugo's gotten so big! Well, tall, not pug big. Our Zoe is a skinny mini too. So weird compared to our 2 tubby pugs. 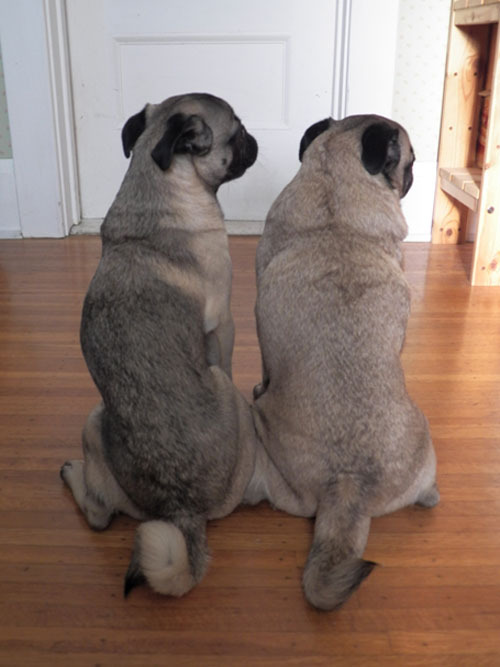 We have two pugs, too! We just rescued our second a couple weeks ago and we thought the SAME thing about him. He's tall and lean just like the older original pugs. But we think he will just begin to fill out. Yours looks like a puppy still did he begin to fill out or stay skinny? !